Hello everybody! First off, I wanted to introduce myself. 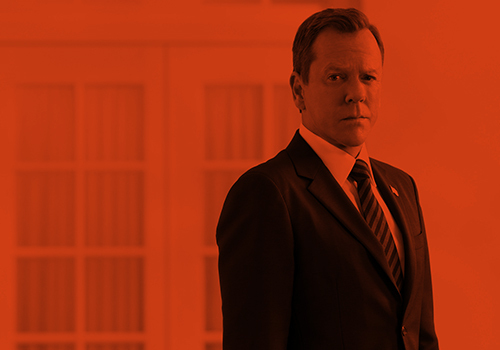 My name is Eric and I am a new co-web here at Kiefer Sutherland Network. You may know me from several of my sites, which include Stana Katic Fan, Kerry Washington Archives, and Bradley Cooper Network. I have been a huge fan of Kiefer’s for many years now and I am so excited that Courtney offered to let me help her out with the site. To start off, I figured I’d go ahead and get some of Kiefer’s promotion for “24: Live Another Day” out of the way. He has been making the talk show rounds these past 2 days and his first stop was last night (April 30), where he visited “Late Show with David Letterman.” You can check out the full 9-minute interview below, as well as 380 HD screen captures in our photo gallery. I will be updating here soon with a few more talk show updates. So enjoy and keep checking back for more updates! This entry was posted by Eric on Thursday, May 1st, 2014 at 10:41 pm. It is filed under Interviews, Screen Captures, Videos. You can follow any responses to this entry through the Comments Feed.